"This victory left no doubt that Pitt can play with the best and on any given night is as good as any team in the country. The Final Four is a long way off, but this team can get there." As I write this, Bill Plaschke claims on Around the Horn that barring injury Pitt will win the National Championship. Need more? Ron Cook of the same newspaper calls DeJuan Blair's performance the best one he can remember at Pitt. 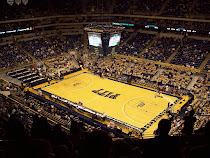 And what WASN'T lost on the local and national media was that this was Pitt's first ever win against a #1 ranked team. Some people are making a big deal out of this, and while it's nice to beat a top-ranked team, I think those types of things are more important for programs that haven't had the type of success that Pitt has the past several years. The other thing that I'm not buying is the 'upset' mentions I've heard today. This was far from an upset and I think that people are starting to buy into the fact that Pitt is likely the better team. "It shows a lot of heart," Blair said. 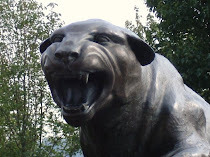 "A lot of people said Pitt wasn't this and Pitt wasn't that. I think we showed a lot of people what we can do." Blair, Blair, and more Blair. This was a huge win that will go a long way in helping Pitt grab that elusive #1 seed in the NCAA tournament. If they can somehow find a way to beat them again at home, it might not matter what they do in the Big East tourney.